ADATA has evolved from its humble beginnings in 2001 with the philosophy of providing top notch memory solutions that enhance and enrich our digital lives. Leveraging their highly skilled engineers and state of the art manufacturing and combining them with amazing customer service results in the complete solution when it comes to your memory needs. Through its innovative practices, value added product and competitive pricing, it has become one of the market leaders within the industry. 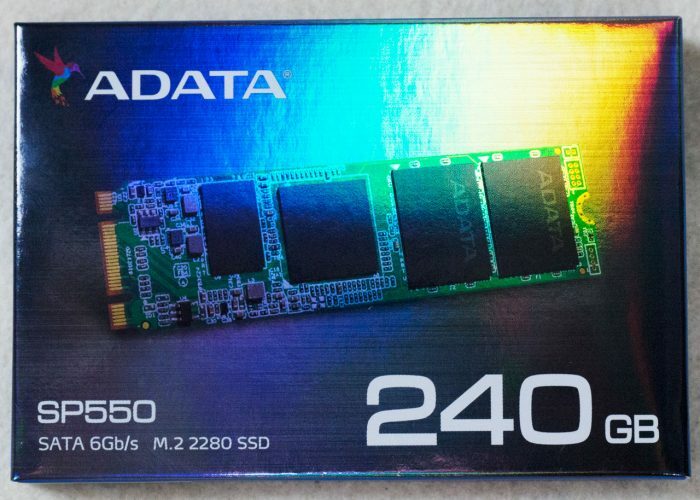 So when ADATA asked if we would review their new SP550 M.2 SSD, we gladly accepted the opportunity to see how this new SSD stacks up against the stiff competition. The new ADATA SP550 M.2 SSD features an SMI controller that is purpose built to maximize the performance of the SLC chips that ADATA used on the SP550. This M.2 drive was primarily designed to be used in high performance Laptops and Ultra books; however, its attributes are also perfectly suited to use on any motherboard that features an M.2 slot that can be used for storage. It is important to note that while many boards feature this slot not all can utilize it for storage drives. The SP550 utilizes SLC NAND flash memory. This type of NAND memory is typically found on enterprise level solutions due to its performance and reliability aspects that are required for the enterprise solutions. The reason that we typically only see SLC memory in high end applications is because of the way it is designed and the difficulty of manufacturing it. SLC is 30-40% more expensive compared to the other options. SLC stands for Single Level Cell and functions by storing one bit of data per cell; this is beneficial when it comes to overall reliability and performance. ADATA paired the SLC memory with the new SMI or Silicone Motion memory controller. By utilizing this controller with its firmware, ADATA was able to leverage its attributes to create the perfect high performance SSD. It is also important to note that the SP550 is capable of being run in RAID configurations in the event that your system features multiple M.2 slots. 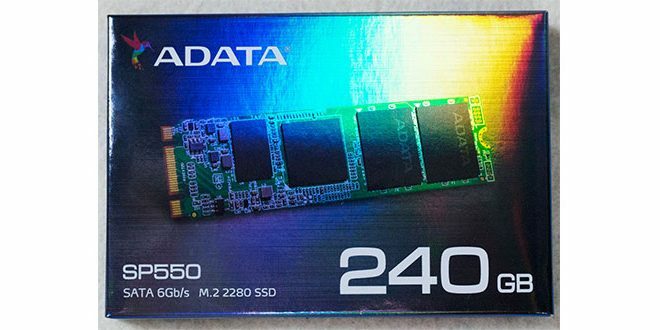 The ADATA SP550 M.2 2280 in the 240GB capacity we found to be a extremely well rounded SSD that would be a excellent choice for your desktop, all in one, laptop, ultrabook or tablet. The performance we achieved was quiet respectable and was on par with most of the other drives we have tested. It is definitely one we would advise looking at for your next SSD.